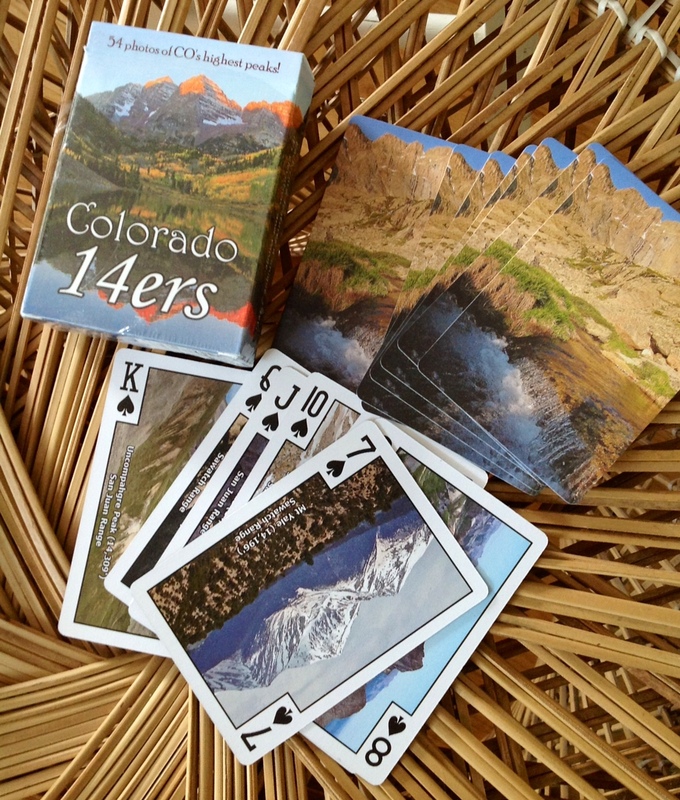 One of our favorite decks is a beautiful custom playing card deck featuring the fantastic peaks of Colorado, photographed by the talented Matt Tracz. These decks contain incredible photos of many mountain peaks in the state of Colorado, and particularly feature photos of the Colorado 14ers. The Colorado 14ers are mountains with 14,000 ft. peaks. If you visit the gallery at http://www.14ercards.com/gallery/index.html you can see each individual card displayed to its full size. 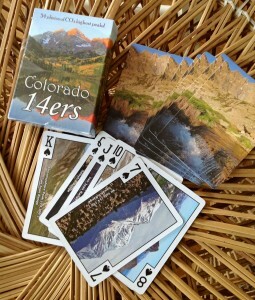 The Colorado 14ers personalized playing cards are the brainchild of Matt Tracz, an avid hiker who hails from the town of Fort Collins, CO. A couple of years ago, Matt formulated an idea for a conceptual product that combined some of his greatest loves: the magnificent mountain ranges of Colorado, adventure photography and playing cards. Motivated and inspired by the project – Matt developed a plan and an itinerary to take incredible photos of some of the most beautiful and exciting peaks in Colorado. 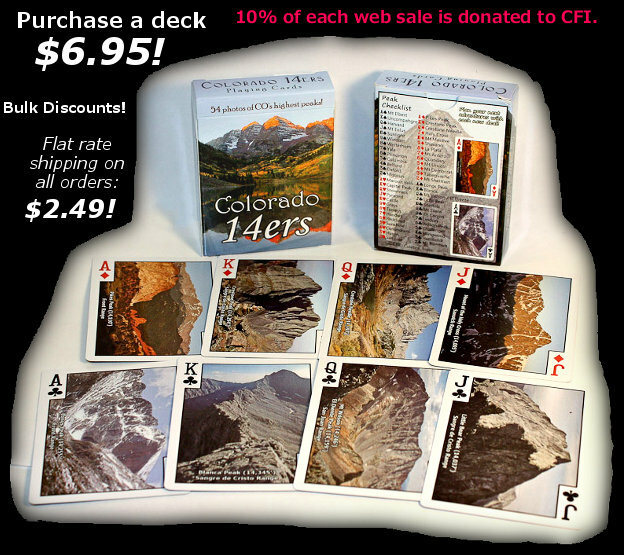 By the winter of 2010 - Matt had amassed a dramatic arsenal of mountain photos which he was able to combine into a stunning 54 card custom face playing card deck. Ad Magic printed these retail quality custom playing card decks on casino quality 300 gsm playing card stock. The cards were cello packed in a full color retail quality tuck box and cello wrapped with a pull tab release to complete and enhance this world class souvenir deck.